I know what you all are thinking, why on earth is a paranormal romance writer interviewing a man who is known simply as ‘The Beer Czar’? Well it’s very simple. I grew up with Ken and his brothers. We both come from the same small town in the great state of Maine and I thought it would be fun and interesting to do a crossover piece on my hometown boy because honestly I respect his views and opinions. I’m not claiming to be a beer lover or expert but I do thoroughly enjoy reading Ken’s Facebook posts and beer blog. Whether he knows it or not I think he has a great writing style. Ken always seems to convey his thoughts and opinions in a refreshing down to earth manner which of course is something every author tries to do with their writings. I will put out a disclaimer though. I did not come up with all the questions for this interview. I had asked my husband for a few questions that he might have for Ken and he started spouting off things he wanted to know left and right. That is why I am breaking it down to show you lovely readers what I, as a woman asked, and what my husband, who is most decidedly a man’s man, asked. 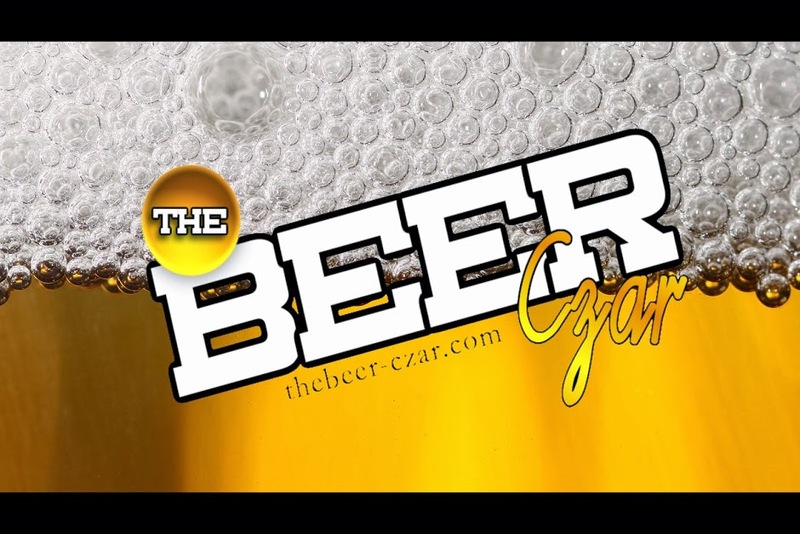 So ladies and Gentlemen I give you the one and only Beer Czar…. What is the best tasting beer that you have found if you’re on a budget? Basically, if you had $20 bucks to spend on a 12 pack what would you buy? $20 on a 12 pack is easy! There is a lot of really good beer out there for not a lot of money. One of my favorite beers right now (because its summer and it’s going to be 115 here in Arizona in a few weeks) is a great summer brew called Oberon by Bells Brewing out of Kalamazoo Michigan. We actually had a keg of it at my wedding (which was in Mich, where my wife is from). Its an AWESOME, drinkable American Pale Wheat Ale that just tastes like summer in a bottle, if that makes any sense at all. On the flip side, if you had an unlimited amount of funds to spend on a 12 pack what would you choose then? If money (and supply) was no option, I would have to go with another Michigan beer (Michigan is brewing some of the best beer in the country right now). A beer called Kentucky Breakfast Stout (or KBS) from Founders Brewery in Grand Rapids. It can push $15 for a 4 pack, but to me, it’s worth every penny! It’s a chocolate/coffee Imperial Stout aged in oak barrels, and, is, in my opinion possibly the most perfect beer I’ve ever had. Everything I love about beer is in this one beer. It’s complex, heavy but easy to drink at the same time. It can be VERY hard to find (it was on shelves here in Arizona for about 30 minutes total), and you will pay for it, but worth every penny if you ask me. Is there really a beer that taste good warm? In a word, no. However, this is often a misunderstood notion regarding “good” beer. You will hear people say “good beer needs to be warm” or that “they drink their beer warm in Europe”. It’s kind of BS. However, if you were to ask me if beer is better “warmer” than the way most folks drink it, they yes, by all means. Many folks prefer to drink their beer (and think it should be drank) ice cold in a frosty mug. While that certainly is refreshing, it’s also fairly flavorless. Cold masks most of the flavor that beer has to offer. To prove this, just pour an ice cold beer into a glass, and take a sip, now, let it sit for a few minutes, then take another one. Do this for 20 or 30 minutes. You will find the last sip of that glass of beer tastes MUCH different than the first. Now, if you are drinking a Coors Light, or Bud Light, or the like, the last sip is probably going to taste fairly awful. However, if you are drinking, let’s say, the aforementioned KBS, or some other complex stout, that last sip is going to be FAR more complex and flavorful then the first. Cold will mask all the subtle coffee, and barrel notes in that beer, notes that make it great. If you drink it ice cold, it’s just going to taste like any old boring stout. So yes, most beer should be enjoyed warmer, say 45 to 50 or so degrees. Not warm, not even room temperature, but yes, much warmer than 32 degrees they like to brag about in a lot of bars. Oh, as far as frosty mugs, there is really no need for them either. Have you ever enjoyed a light beer and what is it? I think the term “light” beer means something different to beer geeks then it does to just beer drinkers. Have I ever enjoyed a beer that said “Light” in the title, yeah, probably, Sam Adams light is ok, I can enjoy that. To me however, light beer is pointless. I don’t drink beer to get drunk, or to try and stay skinny. I drink beer because it tastes good. Light beer, while it tries to remove a lot of the carbs, abv etc., it also removes a lot of flavor. Would you eat bacon that didn’t have as much bacon flavor, or chocolate, that only tasted a little bit like chocolate, or mild cheddar cheese? Hell no, what’s the point? Drink beer that tastes good, and I like beer that has a lot of flavor, I haven’t tasted a light beer that was heavy on the flavor profile. Don’t even get me started on Ultra, or Miller 64!!!! My husband has several old beer bottles from the 1800’s, is there any type of beer that taste better with age? Yes! There are plenty of styles of beer that age VERY well! Not sure how good beer from the 1800’s would be, but I have a few beers in my “cellar” that are 5 to 8 years. Certain styles age very well, and I would argue, SHOULD be aged for a bit. One of my favorite barelywines beers is Bigfoot from Sierra Nevada. I just hosted a “vertical” tasting of Bigfoot here at my house not long ago. A vertical tasting is when you taste the same beer (or wine), from all different years. We tasted samples of Bigfoot from 2014 down to 2008. I learned that Bigfoot is actually at its best after 2 to 4 years on the shelf. Now, not all beers age well. IPA’s for example does not age well since fresh hop flavor is what makes IPA’s great, and hop flavor degrades rather quickly. In general, darker beers with an ABV over 8% or 10% are best for aging. There are always exceptions, and you could write a book on aging beers, there is just a ton to know, and consider, far more then I can get into here, but yes, to answer your question, yes, there are beers that get better with age. Where’s the wackiest place you’ve ever had a beer? Wackiest? Man, nothing really that whacky, but I have had some beers in some interesting places. I am a huge history buff, and one of the coolest places I’ve had a beer was at the bar inside “Big Nose Kate’s”, in Tombstone AZ. Big Nose Kate’s use to be the old “Grand Hotel” in the days of Wyatt Earp and Doc Holidays time in Tombstone. Big Nose Kate’s is one of the two bars that survived the fire from 1882 (there was a huge fire that leveled most of Tombstone not long after the shootout at the OK Corral). It is the only one you can still have a drink in today. The Bird cage Theater also survived but you can no longer drink there. So, I had a beer at the very same bar that the Earp Brothers, Doc Holliday, the Clanton’s all had beers at. It’s a cool, almost surreal feeling to experience that. Also, a friend of mine and I often go “Ghost Town Hunting” and we have a tradition of having a beer and a cigar at these old ghost towns we find. It’s a very visceral, authentic look at history, where you can almost hear the sites, and sounds, and smells from the old west, which, in a lot of cases, was just 100 years ago. Those are some of my most memorable beers I can recall having. You know as I writer I’m going to ask this, what is your favorite book? Have you ever thought of turning your blog into a book or thought of writing a ‘Beer Guide for Dummies’? I know that you are married and have a beautiful wife, does she enjoy beer? She does now! She was more a wine person when we met, but I think I pulled her over to beer. In fact, she has influenced my taste in beer some as well. She is a HUGE fan of Belgian beer, something, I always appreciated and respected, but didn’t really enjoy as much as I should have. Now, Belgian Tripel’s and Saison/Farmhouse Ales are some of my favorite beer styles, especially in the summer, and I never drank them before my wife started enjoying them, and got me to try them. Funny, it is actually beer related. Someone just asked me when a certain beer is being released, and I didn’t know, so I googled it. It was another beer from Founders, a brew called Devil Dancer, a Double/Imperial IPA that is just a ridiculous, heavy harsh delicious beer, that, I found out it is available in June!